In December 2018, Governor Okowa was named Governor of the Year 2018 by Vanguard Newspapers Limited, he also emerged 'Best Governor – Grassroots & People Development in the 2018 Nigeria's Good Governance Poll,' organised by the African Leadership Magazine UK, the Independent Newspapers. He was also conferred with 'Man of The Year, 2017' as well as 2018 Governor of the year award. 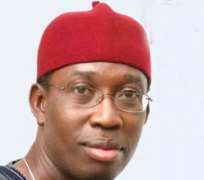 Okowa also bagged the New Telegraph Newspaper Governor of the Year in Human Capital Development and Infrastructure, University of Ibadan 2016 Alumnus of the year award as well as the 2017 Dignity of Man Award by the University of Nigeria Nsukka.